back to the garden... flower power comes full circle: "Garden.." Premiers at the Seattle International Film Festival! "Garden.." Premiers at the Seattle International Film Festival! 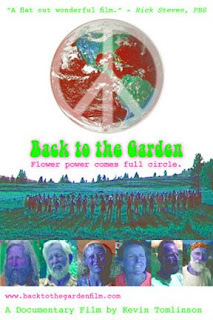 "Back to the Garden, flower power comes full circle" to play Seattle on June 1st and 2nd at the Pacific Place Cinemas. (6th and Pine in downtown Seattle(. *buy tickets early...both shows will sell out! to find an audience and the attention of festival programmers worldwide. So we are thrilled to be a part of that. Come out and join us...we want to see you all there to enjoy this long awaited premier and to support independent filmmaking!